Thanks for reading, Champions, and enjoy the story! Gahhh! 3 more days before KU will let me borrow it!!! Although I did download and read the sample over breakfast this morning, and thoroughly enjoyed it!! Can’t wait for the rest of it! O_o It won’t let you borrow it right away? That’s pretty bizarre…. Does this happen often? I’m only allowed to borrow one book per month…but thats ok, because I finally caved and bought it! And finished it! I loved it! Each book you write is better than the one before! Amazing read. It was even better than red rope of fate. Gwen and Ben were great together. Will surely vote them in next year’s hero and heroine poll (if it happens). Is the next story avril’s? Something about ben saying his growing a wicked edge sounded odd. Would love to see a bookworm hero. It’s already a best seller on Amazon for clean and wholesome romance! Congrats! Thank you! 😉 Though I have to say it’s because of Champions like you. It’s an amazing book. I’m already on the 2nd readthrough and I LOVE IT. I bought it first thing in the morning and I couldn’t put it down all throughout summer program (why must my mom sign me up for something so torturous), and now I’m home rereading so to make sure I didn’t miss anything. 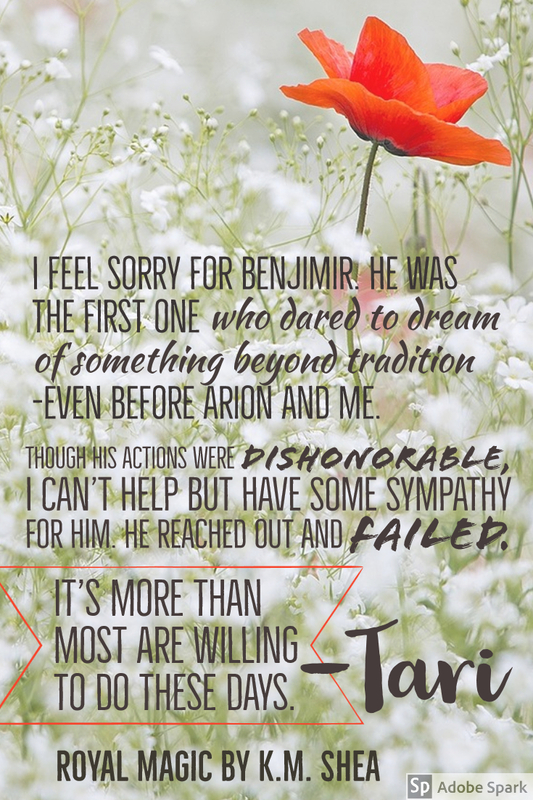 You did a great job moving Tari and Arion to the background but still making them a big part in the story. Ben has a great redemption story, Fyn is quite relatable in terms of being suffocated (school urggghh I know it’s important but it is quite boring), and both had great development throughout. Oh my goodness, this just might be my new favorite book of yours. At the very least, Ben will be getting my vote for favorite hero next time those polls open. <3 I laughed so much it ended up a family dinner discussion. XD Thank you so much, Kitty, for writing this book! Sounds like a fun family discussion! 😉 But, really, I’m so glad you enjoyed it so much. I had some serious reservations about bringing the Red Rope of Fate crew back, particularly with Benjimir as one of the main protagonists. (I find the redeemed villains to be a really TOUGH thing to write and make it feel sincere/believable, so even though I personally am fond of Benjimir, this was a bit nerve wracking.) I’m so happy it made you laugh and that Ben won you over! I’m confident I don’t belong here, but I just came to say that whatever’s in your book should be a controlled substance, because the book hasn’t been out for 24 hours yet and my wife has read it twice! Thank you Kitty for such an amazing journey. I can’t remember ever grinning so much at a screen before. Not to mention bursting out in laughter so frequently my sister was getting vexed with me 😀. Yaaay, the best kind of praise! 😀 I love making people laugh, so I’m very happy to hear this, thanks for sharing! I absolutely loved this sequel, Kitty!! The characters are fantastic and I love how we get to see Fyn and Ben grow and circle each other. You’ve truly outdone yourself!